In the past few posts I’ve mentioned how Ezra Pound was more than an exemplary writer, theorist, and promoter for the early 20th Century modernist poetic movement that he called Imagism. He was also an excellent editor. His most famous blue pencil job remains T. S. Eliot’s “The Wasteland,” but he also worked with H.D. and Ernest Hemingway, teaching with his editing how to pare away extra words, overused similes, and extraneous authorial sentiment. And once shown, those writers we able to use Pound’s insights to do the create their own pared down, modern styles. Written as England entered into WWI, and as Brooke himself rushed to enlist, this poem was embraced by a patriotic public almost immediately. If one shares it’s sentiments, the actual technique of the poetry probably admits no impediments to a reader, even today—but ask yourself, does it have a sense of actual immediacy? As you read, do you share with a fellow human, feeling, seeing, smelling, this experience? What I get as I read it is a thought, where a soldier thinks that if he dies in battle and his body rots overseas, that his body will homeopathically retain its English birth and experience, and that experience, it is inferred, is worth dying for. Why? Well because the poet says so, and he says it with rather polite poetical words. “Die” and “dust” are perfectly good, simple words, but as a description of death and decomposition, they are surrounded by forevers, flowers, air, rivers, and sun—all presumably sweet and genteel. 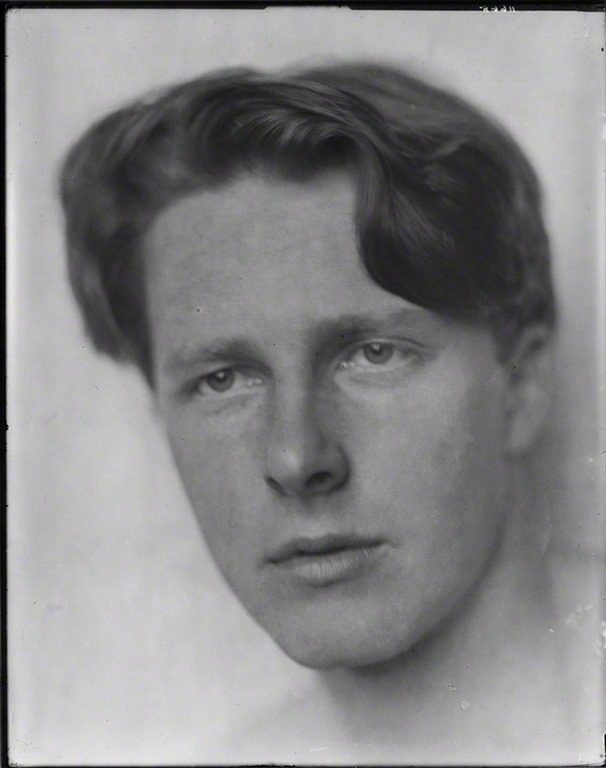 Rupert Brooke died at age 27 of an illness he contracted while on his way to the Gallipoli campaign in his war, but what if he, like Yeats, had continued to live and react to the developments of his young century? And what if Ezra Pound had gotten a hold of him and showed him how to punch up his verse? Thought little of, pashed, scattered. . . .
To other ghosts–this one, or that, or I. What can I, acting as Pound might have, do with this? Well first I can locate the charged images in it, hidden as they are inside Brooke’s extraneous comment. What are they? The soldier pacing at night on his troop ship. He’s staring back inside the ship, looking at his fellow recruits on the way to their first battle. If we have any empathy as readers, we don’t need to be told anything about what he’s feeling if it can be conveyed by what he’s seeing. What are our charged images? The troops are playing cards, games of soldier’s chances. They can’t see the poet, and he can see them only imperfectly, backlit by uneven lighting, “coloured shadows,” which is a great image obscured by all the muck about it. And he sees the faint light of a wave’s phosphorescence as bioluminescent plankton are sweep aside by the wake of the ship. The soldiers, and the poet himself, are already in the course of war, like ghosts, fleetingly seen, or only partially and incorporeally seen. Under a cloudy moonless sky. I removed over a hundred words that didn’t need to be there, which covered up what did need to be there. I don’t need to say that these things relate to each other, putting them in a short poem together makes that clear. I added only one word, choosing to add “steaming” instead of just “to other ghosts” because it’s an action word, and because “steam,” though active and industrious, is another thing that dissipates and disappears. I have two unfair advantages over Rupert Brooke as I transformed his words. First, he died in service to his country shortly after writing this, so he didn’t have the chance to revise his fragment. Secondly, the place he was going, Gallipoli, and the outcome for so many British and Commonwealth soldiers who were deployed there is now infamous for poor tactics and horrendous casualties. I can simply use “Gallipoli” in the title and magnify the dread of soldiers on their way to battle. Today’s episode is dedicated to Julie Shapiro, who introduced me to Eric Bogle’s “The Band Played Waltzing Matilda.” This is a song about Australian troops at Gallipoli, and though I can link to one of my favorite singers, June Tabor’s, version of it, there is nothing but my memory to testify to the devastating version Julie used to perform. Long post again, no time to talk much about the music for this performance. Perhaps I don’t need to tell, you just need to hear it. 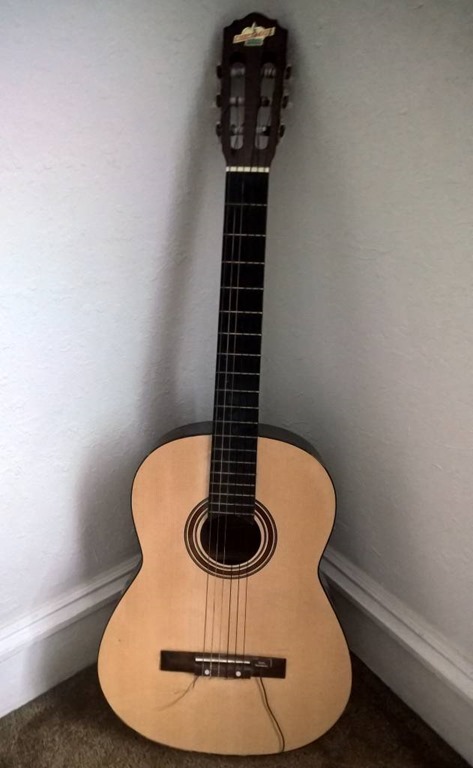 Use the player below then for my performance of a revised fragment by Rupert Brooke.